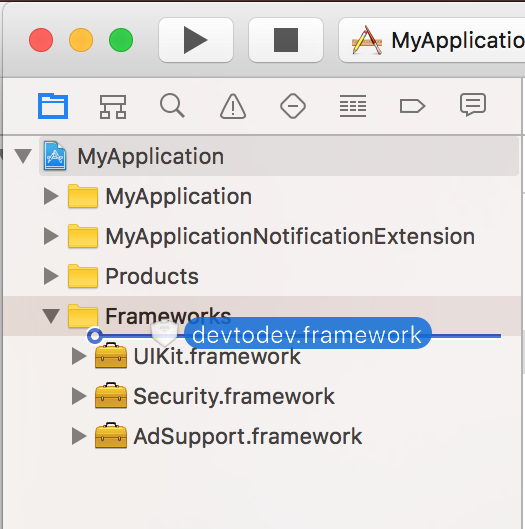 CocoaPods is the easiest way to add devtodev into your iOS project. in your Xcode project directory. CocoaPods should download and install the devtodev library, and create a new Xcode workspace. Open this workspace in Xcode. Add devtodev.framework to the Linked Frameworks and Libraries section. * the SDK user data in game cross-platform applications.